Antibiotics are medicines that treat infections caused by bacteria, which are a type of bug or germ. Antibiotics are sometimes called antibacterials. Bacteria can cause infections in different parts of your body. Antibiotics kill the bacteria that cause an infection, but they can also kill your good bacteria at the same time. Not all infections are caused by bacteria, and some infections get better by themselves. Antibiotics do not treat infections caused by viruses, which are another type of germ. Taking antibiotics a lot can also cause problems with how well they work in the future. It is important to follow the instructions you get with your antibiotics, which will be on the label of your medicine box or bottle. If you aren't sure, check with your pharmacist. When you take antibiotics it can take one to two days to start to feel better. There are several different antibiotics and each needs to be taken in a different way to work well. Some are taken once a day, others more often. Some need to be taken on an empty stomach, and others with food. It is important to follow the instructions you have been given for taking your antibiotic. Only take the antibiotics prescribed for you. Do not take other people's antibiotics and do not give your antibiotics to other people. This is because not all antibiotics work for all infections, and they may cause unpleasant side effects. If your doctor says you should finish all your antibiotics, do so even if you feel better. If you have bad vomiting or diarrhoea you may not absorb the antibiotic properly, or you may be getting sicker. See your GP. 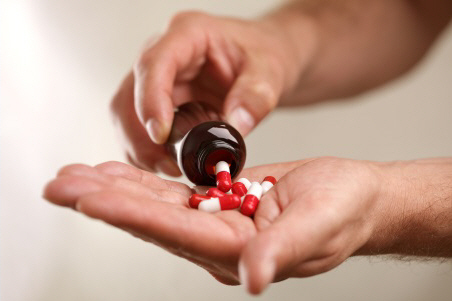 Antibiotics can also have more serious side effects, such as liver problems or life-threatening allergies. These are rare, but if you think you are having a serious side effect call an ambulance or see your GP urgently. Make sure to tell your doctor if you have had any allergic reaction to any antibiotics in the past, or had any side effects, even if they seemed minor. They can then give you an antibiotic that you are less likely to react to. If you develop a rash while taking an antibiotic you should stop taking the antibiotic and see your doctor. Can I drink alcohol while I am taking antibiotics? It is best to avoid drinking alcohol while you take antibiotics. This is because the alcohol can make the side effects like nausea and diarrhoea worse. Drinking alcohol when taking an antibiotic called metronidazole (Flagyl) may make you feel especially unwell, and cause flushing in your face and a racing heart. NHS – Can I drink alcohol while taking antibiotics? This page gives advice on which antibiotics react so badly with alcohol that you should stop drinking altogether, and others which have unpleasant side effects you should be careful about.